Today we’d like to introduce you to Carolina Gutierrez. Carolina, please share your story with us. How did you get to where you are today? My story is one of those that was born by accident. I was living in Russia back in 2007 because my husband got a job over there. We were living in one of those expats compounds and life was very simple, but very boring even though I had 3 toddlers at that time, I didn’t have any personal project and decided to take baking and pastry classes with a personal chef, I had always liked to bake but didn’t have time to explore it, I had 3 babies in 5 years, so I was busy!! She thought me the art of baking and French pastry, and that was it for me, I was completely hooked! When I moved back to Mexico, where I am originally from, I started a baking business supplying restaurants with brownies, tarts, and cheesecakes. However, 10 months after, I had to leave Mexico, again for a job my husband was given in Houston, TX. Here in Houston, I was able to develop my skills and learn many new ones. I took classes with professionals like Marina Sousa, Marsha Winblecker, Natalie Sidesfer, Shawna Mcgreevy to name a few. My life started spinning around cakes and all about them. Going to cake shows, and even I dared to compete in 2016 in Austin, Tx (didn’t win but learned a lot) watching videos, waking up VERY early in the morning and going to bed really late at night to finish all of my orders and learn more. When I came to understand the importance of the birthday cake in people’s lives and the memories you can create around it, I made it my project for life. It has been a great ride and I can’t wait to see what tomorrow brings in my cake world. I go to bed every night looking forward to the next cake! It has been a little bit of everything. I´ve had cakes that fell to the floor just before the client got to pick them up, wrong recipes along the way, and I was even scammed once! I’ve seen the expression on people’s faces when they get their cake and be a small part of people’s best moments in life makes it all worth it! My only advice is, never stop believing in yourself! I knew nothing about how to run a business, I only knew how to make cakes, and that I was very good at it. I studied, I learned, I stopped sleeping figuring things out, I pushed myself to my very limits and now, it’s been 7 years that I have a successful business. Some days, you’ll even think that you don’t really need that and why you do that to yourself when you are soooo busy all the time. Everything can be fixed, learned and developed along the way, but nothing will occur if you don´t have faith in yourself. If you can run a house, have a husband and deal with kids with one hand, believe me when I tell you, the other hand is more than enough to make your dreams come true. What should we know about The Bakery Boutique? What do you guys do best? What sets you apart from the competition? I specialize in custom cakes. That is what sets me apart from others, I can make the cake of your dreams come true. Any theme, idea or dream, add special effects like smoke, movement or lights, I can turn it into cake and that is something that requires lots of skill and patience, I can humbly say that I do have what it takes to make that happen. My mission is to give the client a delicious and beautiful cake. In order to do that, I use only first quality ingredients and materials to make my cakes. I keep everything fresh, and every single piece of the cakes are baked, built and designed individually and by hand, this is what I am proud of. Every cake for me is like a baby, I bake, frost, design every one of them with love and I don’t stop (or sleep) until the cake is perfect to party! 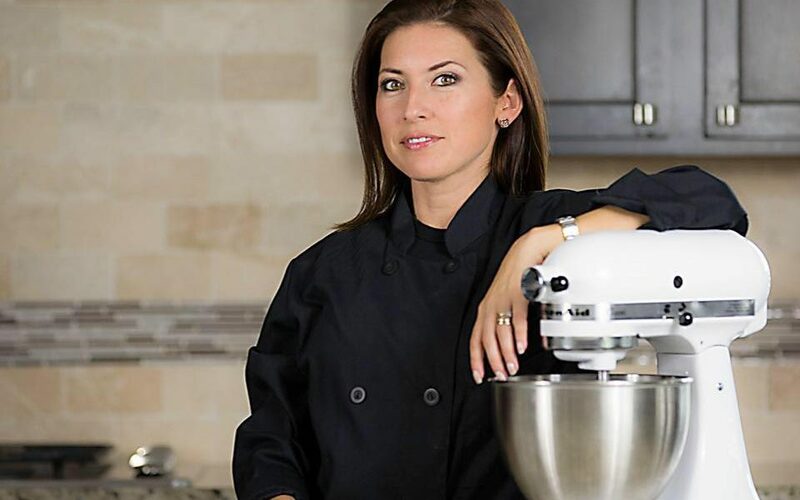 Since I belong to the cake industry, I don’t see the female leadership threatened, on the contrary, women lead the industry, even when there are many great male chefs, bakers and cake decorators among us. I can say that women in this scenario are leading and doing it extremely well. In general, I would dare to say that old prejudices regarding gender are a huge barrier. Unfortunately, we, women are our worst enemy. Due to the idiosyncrasy of our country of origin, the way women were raised and the cultural shock, to name a few, are important facts that tremendously, making us the first barrier against ourselves because all of those facts make us incapable to reach our goals, and sometimes, incapable to even set some of them. Address: 18323 Shore Park Rd.